The SSF03 Fiberglass 3ft Step Stand boasts a duty rating of 375lb with stable locking spreaders that permanently stay open. 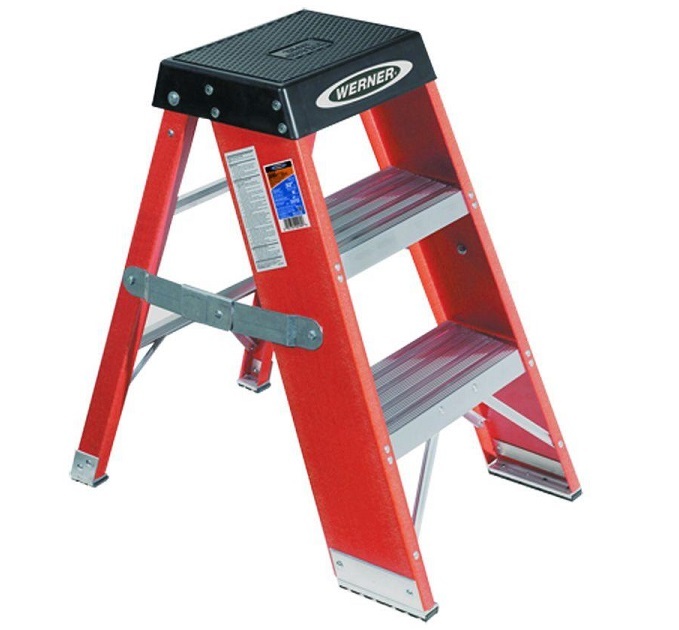 Heavy duty wide steps and broad top offer more foot space for comfortable use. The extra-large feet are ideal for use on gratings. The deep treads in the steps and top provide slip resistance. Fiberglass rails are non-conductive for working near electricity.